Located in Rancho Santa Margarita in southern Orange County, St. John’s Episcopal School serves over 430 children in nursery through 8th grade. 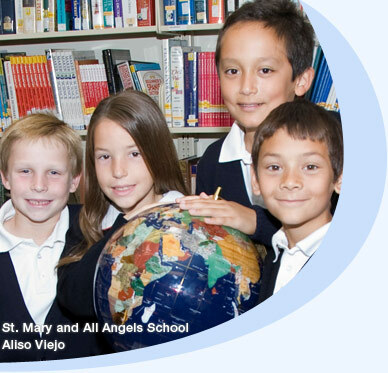 The school was founded in 1988 and operates under the auspices of the Episcopal Diocese of Los Angeles. In accordance with the tradition of Episcopal education, St. John’s students are well prepared for secondary education and the challenges of navigating an increasingly complex and diverse world. All programs are designed “to encourage our students to pursue lives of service and purpose.” The School has a fully developed STEAM approach to teaching and learning and is recognized as highly innovative. The Johnson STEAM Center and a production studio opening in the fall of 2017 provide cutting edge teaching spaces.